It is Dayton’s own gathering of Makers and Crafters. Here is where we showcase local artists, woodworkers, 3D-printers, rocketeers, alongside makers and crafters of all kinds! If you have a passion for arts, hobbies, and do-it-yourself projects, then you will find that you will love the Make It Dayton Festival. We encourage all people and families to attend. And if you have that maker spirit, we would love for you to sign up and show off your talents. You may have noticed that last summer we started a social media campaign #wheredaytonismade, in conjunction with the 2nd Annual Dayton Mini Maker Faire. This hashtag is meant to inspire makers across our region and beyond to look at the legacy of making we have in Dayton, but also to look towards our future as a leader in the maker movement. It wasn’t that long ago that Mayor Nan Whaley signed the national Maker City Pledge, officially pronouncing that the City of Dayton is committed to engaging our region in the Maker Movement to stimulate our citizens to become inventors and tinkerers and to learn new skills and explore new technologies and arts. Why would a city government care about that? Well, because some inventors and tinkerers will go on to create new businesses and products that create new jobs. Those learners who want to adopt new technologies and make things with their own two hands? Those are the same people who make excellent employees for those new maker businesses, especially in manufacturing. Dayton gained fame in the last century as a hub of invention and manufacturing, leading the world in patents and advancing some of the most exciting technologies of the era. The Wrights, Kettering, Deeds – these are the giants whose shoulders we stand on as makers here in Dayton. 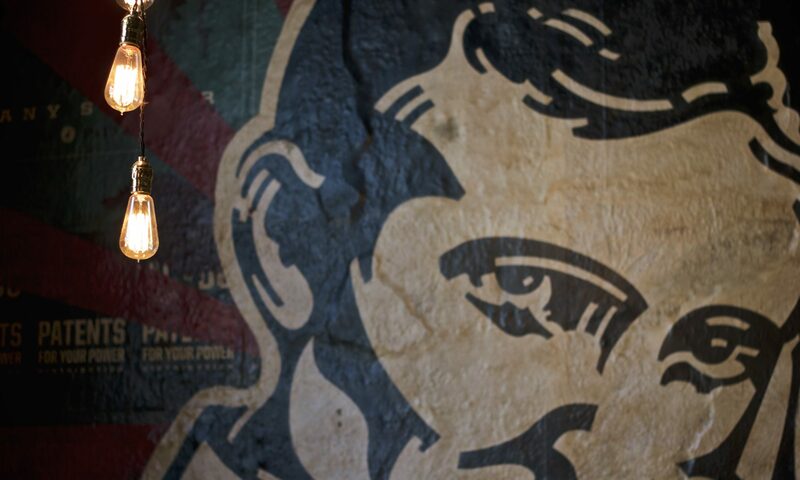 #wheredaytonismade is about recognizing the new efforts in and around our city to create a generation of makers that leads Dayton into the next century. Know someone who is an exceptional Maker? Want to recognize their achievements and work in our community? Tag them with #wheredaytonismade and then email makeitdayton@gmail.com and we may write a blog post about them! Plus, encourage them to sign up to exhibit at the Dayton Mini Maker Faire this August. I’m not shy about self-identifying as a maker, so inevitably I get asked the question “what do you make?” And inevitably, I list Maker Faire as one of the things I make. I’m the RepRap of makers – a maker that makes Maker Faires to make more makers. Makers. As one of the founders of the Dayton Mini Maker Faire, I’ve become part of the network of makers that plan and produce other Mini Maker Faires across the world. Every year, Make Magazine, the originators of the Maker Faire concept, host a world-wide summit for Maker Faire producers. In past years, the Maker Faire Producers Summit has been held in the Bay Area or other single locations around the world. This year, the Summit is being held online and Make asked if some Mini Maker Faire teams would be willing to host viewing parties for their regions. Guess what? Dayton was selected to be a regional host for the Maker Faire Producers Summit for 2018! So what does that mean for Dayton? It means that producers of other Maker Faires from across the Midwest will be converging on Dayton, Ohio on March 3 to meet face to face and participate in the global online summit together. It means that we’ll have the opportunity to learn about other cities and their Faires, and possibly form some collaborations to bring the best of the Midwest to our 2018 event. It also means we get to share what makes Dayton unique with the rest of the world. Are you interested in learning more about what it takes to produce the Dayton Mini Maker Faire? Thinking about joining our producers team? Or are you the producer of another Maker Faire in the midwest? If so, send an email to makeitdayton@gmail.com for Summit registration info and to connect with the Dayton team. After the 2016 Dayton Mini Maker Faire, the Make It Dayton team took a long, deserved break – mostly so we could spend a little time getting back to our own maker projects! We had a fantastic first year for our Maker Faire on July 16, with over 2500 attendees and more than 50 exhibits and hands-on activities scattered across Carillon Historical Park. Now that we’re all rested and refreshed, we’re gearing up for the 2017 Dayton Mini Maker Faire. This year, the Dayton Mini Maker Faire is expanding to a 2 day event, August 5-6 2017. We’ll be launching our Call for Makers this January, so keep an eye out for our newly revised and simplified application form. This year we are focusing on adding classes, speakers and more hands-on workshops to the event. We are working on bringing in a 2-day HAM radio certification course, and a very big name speaker and author who has been featured in Make: Magazine. You can learn more about all our new ideas for the 2017 Dayton Mini Maker Faire this weekend, November 5-6 from 12-5pm, at the Dayton Mall Barnes & Noble Mini Maker Faire. We’ll be one of the featured exhibits along with Dayton Diode, STEAMWorks Labs, Proto Buildbar and Boro Moms & Beyond. Get an up-close look at the winning go-cart from the Boneyard Build-Off, check out some cool EL wire, HAM radio and electronics projects, and see some 3D printed stuff at our table. We are excited to be partnering with Barnes & Noble for 2017, and look for their pop-up shop at Carillon Park during the Dayton Mini Maker Faire August 5-6. If you can’t make it to the Barnes & Noble event this weekend, mark your calendars because Make It Dayton will also be at the Science Festival during Super Science Saturday at the Boonshoft Museum, November 19 from 10am-4pm. Finally, if you’re looking for a way to get involved with Make It Dayton, or want to volunteer at the Dayton Mini Maker Faire this summer, be sure to follow @makeitdayton on Facebook and Twitter, and join our Meetup group at www.meetup.com/Make-It-Dayton/. We have been holding casual meetups at local coffee shops called Maker Mornings. We have them every few weeks on Saturday mornings, and we try to rotate locations around town. You can also reach us at makeitdayton@gmail.com. We are looking for people interested in being part of the planning committee, but also for our street team that hangs flyers around town and for our day-of Maker Faire set-up, tear-down and event teams. These are all great opportunities for high school or college students, boy and girl scouts, or other youth groups looking to record some volunteer hours supporting Dayton History, the non-profit that runs Carillon Historical Park. We hope you’re getting excited about next summer’s Dayton Mini Maker Faire! We can’t wait! For all the latest news and announcements, be sure to subscribe to this blog as well as follow @makeitdayton and @makerfaireDAY on Facebook and Twitter. Dayton Mini Maker Faire: What is it? Maker Faires are festivals for celebrating the Maker Movement, the notion that anyone with the desire can learn new skills and create new things themselves. At Maker Faires, people from all over the community, at all skill levels get together to show off their projects. What kind of projects? Everything from robotics to sewing to 3D printing to woodworking to gardening to quadcopters to…the list just goes on; basically, if you’ve created anything useful, interesting or fun, you can show it off at a Maker Faire. And you don’t need to be a professional Maker, either. It’s all about celebrating learning and creating, and who knows better than the hobbyist with a small budget that necessity is the mother of invention? So, is that why this is a Mini Maker Faire? Because it’s all hobbyist skill-level folks? No, it’s a Mini Maker Faire because that’s where all Maker Faires start; this is the first year we’ve had one in Dayton, so we need some time to grow into a featured Maker Faire. There’ll be a good mix of professional and hobbyist skill levels, with the whole spectrum in between covered. 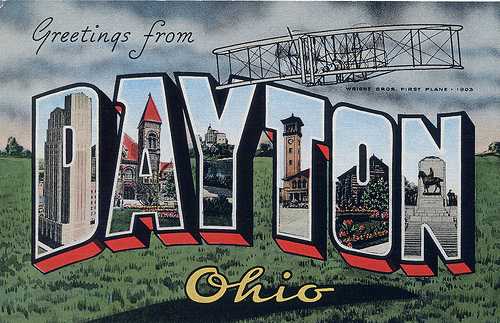 As for where Dayton is: Latitude: 39.729215, Longitude: -84.199444. Okay, that’s not precisely Dayton. That’s Carillon Historical Park, where the Dayton Mini Maker Faire is happening. That makes our Faire a bit different; we have the chance to celebrate the historical Makers of Dayton that changed the world, while seeing what’s coming up next. It also means that we have a beautiful 65 acre venue to fill with Makers, so there’s plenty of space for everyone. We hope to see you there July 16th! Well, Maker Fest is over, and it was fantastic! Check out photos and videos from it on our Events page. It was great to see folks interested in making from all over Dayton get together and share their hobbies. Now, I know what you’re thinking: “But, Orville, I don’t want to wait another year to hang out with people building robots, railguns and backyard foundries!”. First, my name isn’t Orville. But more importantly, you don’t have to wait! This year Make It Dayton has partnered with Dayton History to have the first ever Dayton Mini Maker Faire. Come to Carillon Park on July 16th to enjoy the Greatest Show (and Tell) on Earth! That said, we can’t do it without Makers. So, if you have something you want to show off, teach or just talk to people about, fill out the registration form and help us make a Maker Faire! If you’re interested in volunteer opportunities, sponsorship opportunities or just have some questions, contact us through the form on this site, and we’ll be glad to work with you. Maker Fest Presentation Live Stream! We’ll be streaming our Maker Fest speakers live today starting at 10 AM, and going all day! If you can’t make it to Tec^Edge, or just want to see it from your recliner, you can still hear about some of the awesome things happening in Dayton. Edit: The stream has ended, but keep an eye out! We’ll be posting the videos to our YouTube channel.